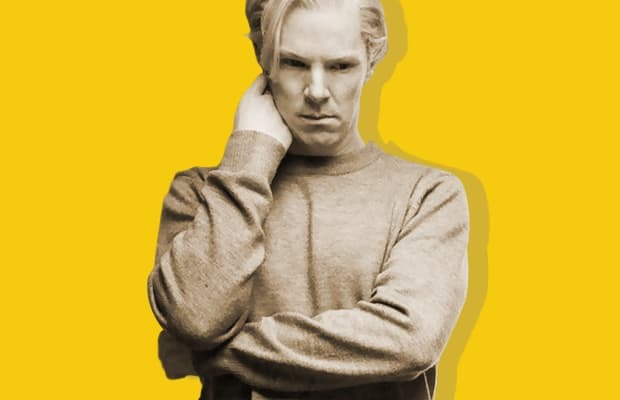 The Most Bizarre Facts About Julian Assange That We Hope Make It Into "The Fifth Estate"
This Friday, Julian Assange comes to movie theaters in Bill Condon's The Fifth Estate, a political thriller about the founder of WikiLeaks. Benedict Cumberbatch, riding the success of Sherlock and Star Trek Into Darkness, plays the silver-haired Australian activist who captured the world's attention in 2010 when his organization leaked video footage of the July 12, 2007 Baghdad airstrikes under the title Collateral Murder. This leak brought the organization unprecedented attention, though WikiLeaks had been in existence for four years at that point. A fictionalized account of Assange's work, The Fifth Estate can't possibly include all the crazy moments from the activist's rich biography. But here's to hoping it accounts for most of the juiciest bits. These are the Most Bizarre Facts About Julian Assange That We Hope Make It Into The Fifth Estate. RELATED: Wikileaks Leaks Script for Movie About Wikileaks, "The Fifth Estate"